This is my January club card– taken right from the Leadership make and takes! Not everyone has the new All My Heart set so I showed the girls how to make it with a set they may already own. All are equally fun and cute! I changed the set ever so slightly and added a BUNCH of glitter. There was lots of sparkle in this little package. Here are the 3rd and 4th cards featured in my September Card Kit of the month. 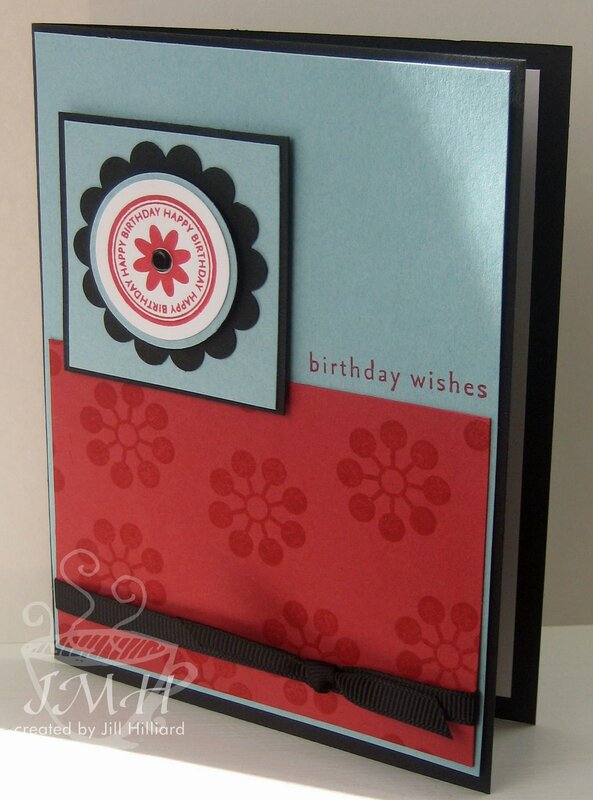 If you like pre-cut card stock – this is for you! CLICK HERE to check out all the details of what’s included in the kit. Orders will be taken until September 15th. I will then order the supplies and the Kits will ship at the end of the month. Prepayment is required. Let me know if you have any questions. There are lots of great add-ons! I was going for the look of creating Designer Paper- with glitter. 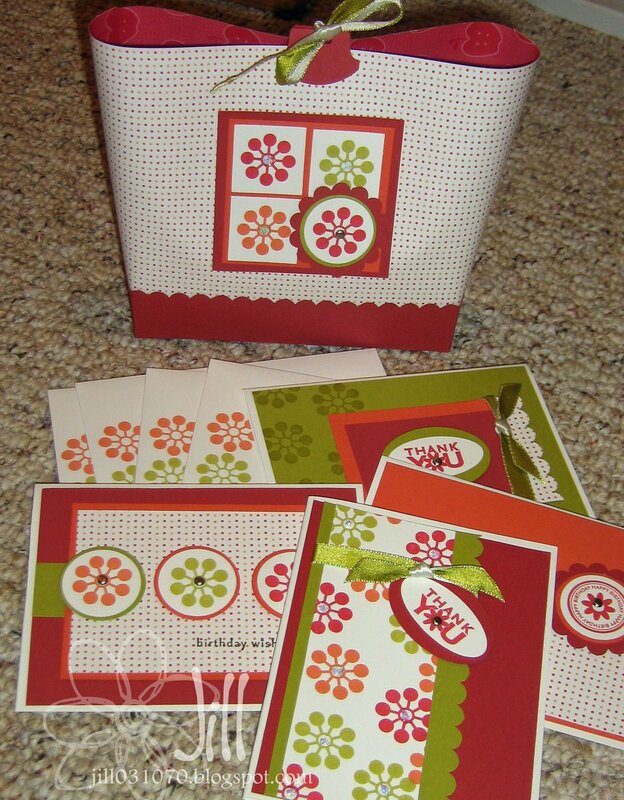 Similar to what they are making with some of the new Papertreyink sets. This techniques would work great with the Baroque motif medallions. I did use the stamp-a-ma-jig to get the perfect line up of the flowers. I also drew, then erased, very faint grid lines with a pencil, using the Stampin‘ Up! grid paper as a guide. This was time consuming, but its sooooo pretty in real life. Each of the flower centers has glitter. I love the simplicity of it. 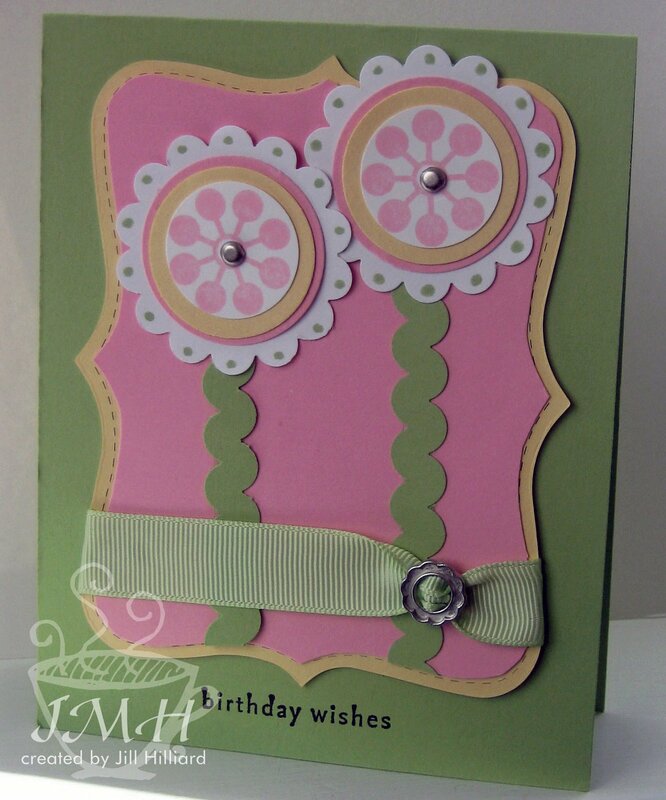 This card is featured in my new card kit of the month for September. CLICK HERE to see the details. This little Die is so cute. I ran the die through so saffron and pretty in Pink. I trimmed the pretty in pink one on the stitched edges so it would layer. Do You like this card? 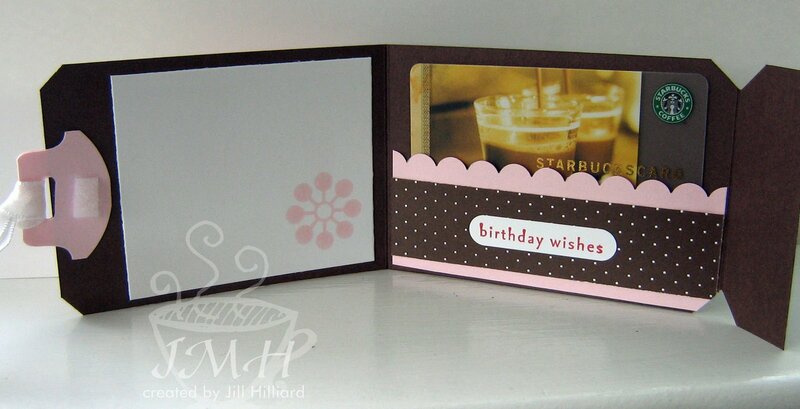 This is one of the cards in my NEW card kit of the month program. CLICK HERE for details, pictures etc. What would we ever do with out these punches! I used 9 on this project. 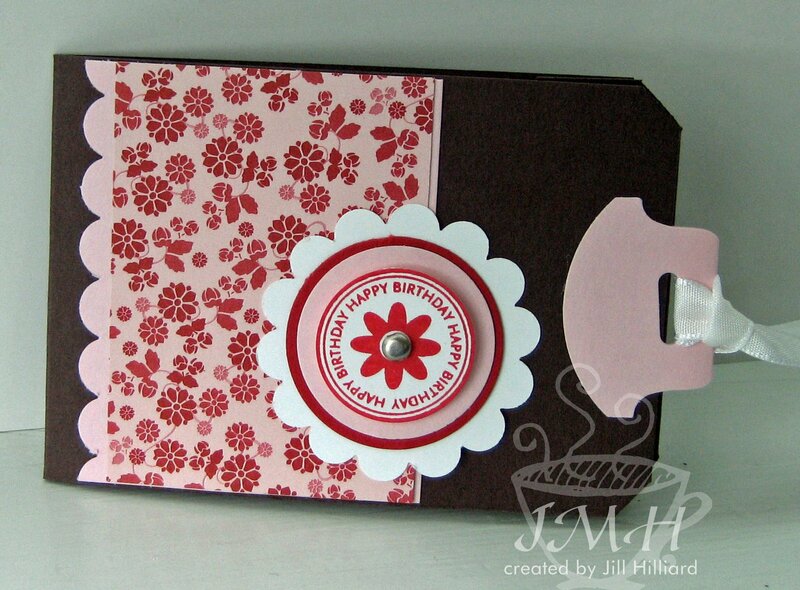 Paper: Bella Rose designer paper, chocolate chip, pink pirouette, red riding hood.